Home > Services > Articles & White Papers > Breadsticks and bubble wrap: The secret to brand success is often in the details. Breadsticks and bubble wrap: The secret to brand success is often in the details. Many years ago, while still in college and before I had ever thought about what a brand is or does, I worked a summer in a sheet metal fabricating plant and got a lesson in branding. This operation formed sheet metal siding for large commercial buildings like warehouses, factories and sheds. Our products were mostly made-to-order and we had many customers, but one required that our shipments received double-protective packaging to assure there were no dents or scratches in the finished product when it arrived. That one customer was Perdue, and the sheet metal was destined to be part of enormous chicken-growing buildings, which are not exactly the most elegant places on earth. At the time, Perdue was establishing its brand as a high-quality chicken product and was managing to differentiate itself in what had been, until then, mostly a commodity market. Frank Perdue had become the face of the brand with the long-running slogan, “It takes a tough man to make a tender chicken.” The Perdue brand culture of quality, though, extended all the way to their shipping requirements, because a blemish on the siding of their chicken houses was simply not acceptable. Obviously, this was not something Perdue talked about in its advertising, but it was still a part of how they ran their company and showed how seriously they believed in their brand. Much more recently, as a result of stagnating sales, Olive Garden took a hard look at their brand experience and focused in on a singular detail—their breadsticks. They realized they had gotten away from their standard of providing hot, fragrant breadsticks for their customers by supplying too many at once to their tables. 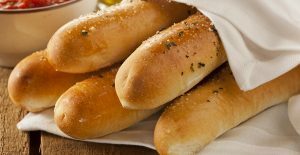 Throughout their 800-plus restaurants, they reemphasized the importance of serving just enough breadsticks to their customers and making as many trips to the table as necessary to keep them as hot and delectable as possible. The Perdue and Olive Garden examples reflect the power of a small detail and its importance to the overall concept of the brand. It is far easier for a server at Olive Garden to take a few extra breadsticks to the table in one trip. It would be easier for Perdue to unpack siding with less protective material. But each brand required it. Think of the message that sends to the employees and, in the Perdue example, even the suppliers to those brands. It says, “We care about our brand and how it is perceived. We want every detail to be looked at throughout our systems and processes.” It says the brand details matter. These brands are also demonstrating how virtually any employee can be part of making the brand what it should be, from servers and kitchen staff, to purchasing agents and shipping dock personnel. It might be tempting to think that these examples are just about a general emphasis on quality, something every brand should do. Fair enough. But, if so, why doesn’t every brand do it? Perdue was the only customer insisting on double-packing their shipment from the sheet metal factory. No customer of theirs would ever know the difference. And how many restaurants are telling their servers to take fewer pieces of bread to the table and then make extra trips with more? Not many. So, the message for brands of all types is to look for proof of your brand in the details. Is it there? Could you point it out? Do your employees, staff, or even your vendors, see it? Show me a brand that says yes to these questions and I’ll bet I can show you a brand that is succeeding.